A self-confessed fiddler, my interest in how things work stemmed from an early age. Christmas and Birthday presents would be played with an then taken apart, with varying degrees of success in the re-building! My first car was a Skoda 120LE, it cost nothing, and was an awful piece of 'engineering'. Moving onto a Mini Metro was a huge leap, and the tinkering started there with a big sound system and some engine tweaks. However, 4 wheel drift in a Mini Metro is no fun, so I had to move on. Through a Rover 414SLi to a Ford Probe 24v V6, then onto a Rover 220 Turbo Coupe, and 2, yes that's TWO! 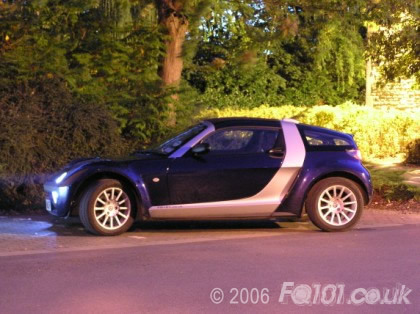 Vauxhall Frontera's (I must have been mad), finally I swapped my 2.2TDi Frontera for a smart Roadster in Star Blue. I'd admired the smarts from afar for many years, but family wouldn't allow a two seater car, then the kids learned to drive, and got their own wheels so I was broken free of the chains. 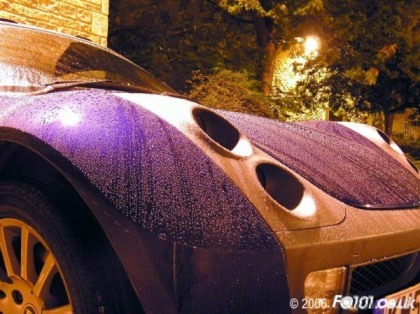 There were 2 other options when I was looking for a car, the VX220 and the Elise. 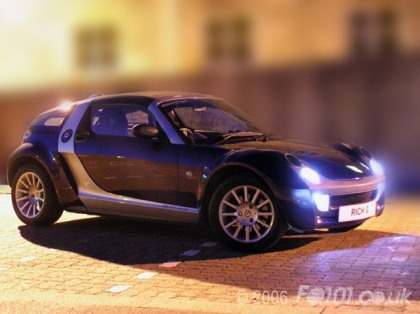 The car I chose had to be an everyday car, the VX was nice, but very harsh, and quite stark, the Elise was just totally impractical. 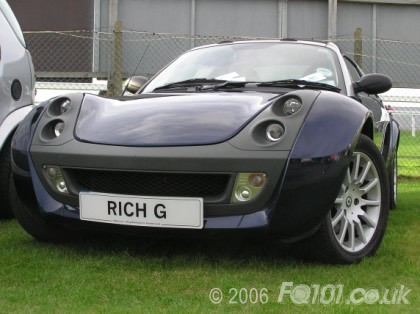 The purchase process of the Roadster was fraught due to missing paperwork, and an almost expired MOT on my old car, and I finally took delivery in October 2005. I'm a keen amateur photographer, and am more often than not seen with a camera, shooting anything from landscapes, portraits, weddings, sports, and cars. Since its introduction, it has received an uprated air filter, a good debadging, an Evil Twin remap, a 74kW Brabus TIK, ITG filter, additional pods, EBC brakes, Brabus V6 paddle shift steering wheel, an uprated stereo system including sub, and colour coding has been done. The gauges and switches have now all been changed to blue and Brabus leather seats have been installed.